Fort Buchanan, Arizona was one of a number of military posts established in the territory acquired from Mexico in 1848. Built in 1856, it was the first post established within the bounds of the Gadsden Purchase made in 1853. First founded as Camp Moore, the post was later renamed Fort Buchanan in honor of President James Buchanan. Its mission was to protect the area settlers and stagecoaches from Chiricahua Apache. A detachment from the post, led by Lieutenant George N. Bascom, was involved in the episode with Cochise at Apache Pass that precipitated the Apache Wars (1861-1886). At the beginning of the Civil War, U.S. troops were withdrawn from Arizona to New Mexico and to keep the fort from falling into Confederate hands, it was destroyed in July 1861. The following year, General Carleton’s California Volunteers occasionally camped at the site. To aid in the renewed effort against the Apache, the post was reactivated as Camp Crittenden on a hill about a half mile to the east. Today, the privately owned sites of Fort Buchanan and Camp Crittenden are used for grazing. The only remains are scattered rocks. mounds of earth, and fragmented adobe ruins. 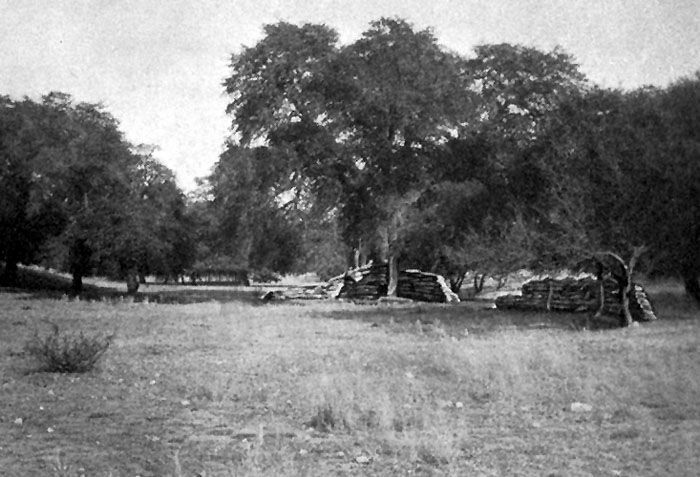 Fort Buchanan was located three miles west of present-day Sonoita, Arizona on the east slope of what is now called “Hog Canyon.” Camp Crittenden was established half a mile east on the flats.